Bovec is a genuine Alpine centre, its special position it’s the world famous Suca Valley surrounded by the semiglacier peaks of the Kanin Ski Centre, this year newly linked to the Italian resort of Sella Nevea, has created a mountain destination second to none with over a 100 km of piste and skiing in 3 different countries with a huge untapped backcountry ski area. All this topped off with some of Europe’s wildest mountain river activities; no wonder the area is often referred to as Europe’s answer to Queenstown New Zealand. 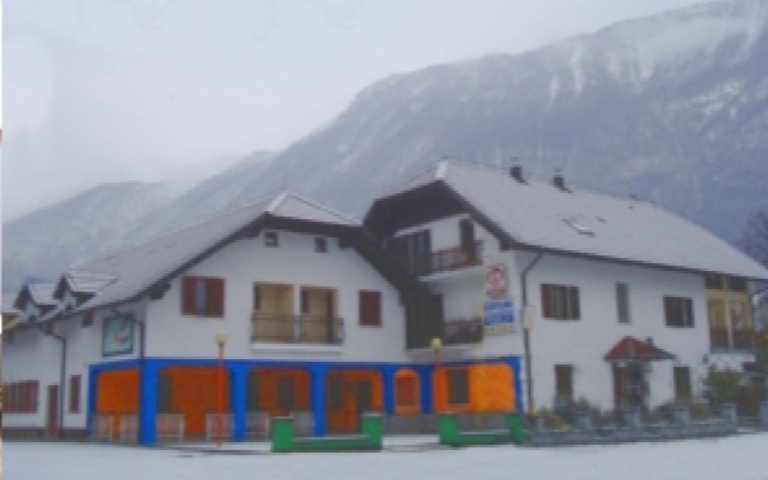 Located just two hours from Venice, Bovec is the only resort in Slovenia to boast ski slopes above 2000m, it is a real high mountain ski resort far above the tree line in a true Alpine atmosphere. A unique, mountainous realm; natural snow on the ski slopes (backed by snow making facilities), which due to the highland conditions, are never icy and offer the pleasure of skiing on powder during most of the winter. 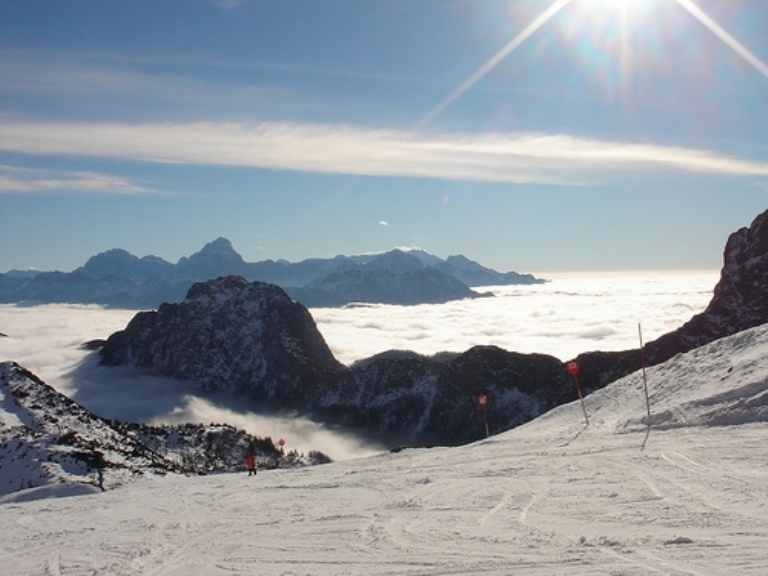 Bovec offers something completely different from a traditional skiing holiday. The mystery of an extraordinary landscape, virtually unlimited off piste skiing difficult to rival anywhere in Europe, with stunning aquamarine rivers providing other activities not usually available in ski resorts. With the added advantage of being able to sample the cuisines of Italy, Austria and the value for money provided in Slovenia. Our lodge is modern, bright and spacious and comes fully equipped with satellite TV, DVD player, Wifi and Playstation. The open plan lounge and dinning area are the focus of the lodge where you can relax in front of the log burning fire. Or why not unwind after a hard a day on the slopes in our hot tub. The lodge is split over three floors and a wide choice of spacious and comfortable rooms are available (most being en suite) that can accommodate twenty guests. There are a further two lounge areas where you can unwind and relax. 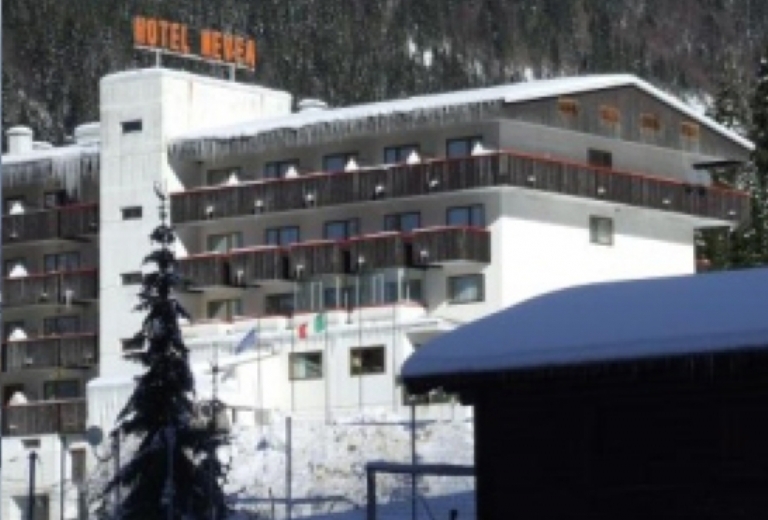 This lovely family run club hotel is situated next to the nursery slopes of Sella Nevea. It is welcoming and comfortable, with a lovely traditional dining room, lounge bar, fitness suite and cellar bar. 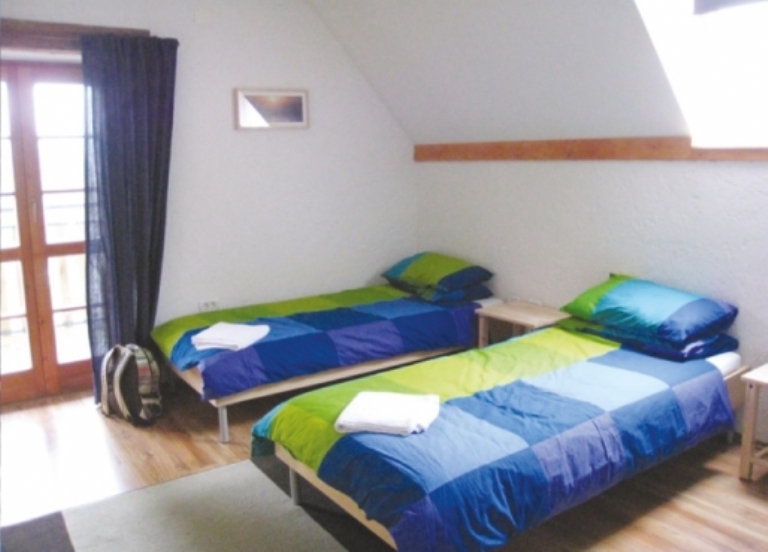 Available are: 8 triple rooms, and 16 twin rooms, all en-suite with cable TV too! WiFi is available in the lounge bar area. This jumbo chalet is also available just on the edge of the village by the Soca River. It comes equipped with cable TV, WiFi, play station and hot tub. This very comfortable chalet is a perfect base for larger groups and has 2 and 3 bedded rooms, mainly en-suite but some are laid out as suites. It has its own Chalet bar too.